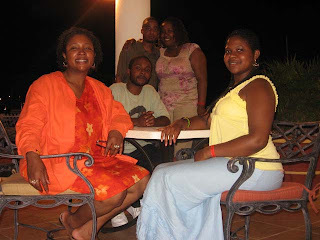 This is my second trip to Jamaica and though I would say that Negril is more beautiful than Ocho Rios, being on vacation with my sister, my niece, my nephew, and BJ was an amazing experience and its something that i hope to do again. Although I’m still waiting on the photos from Dunn’s River Falls, I wanted to blog about the trip before too much of it left my mind. 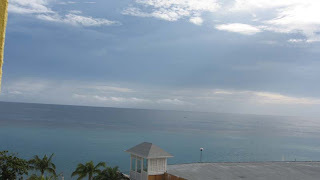 We stayed at the Sunset Jamaica Grande Resort in Ocho Rios. The view from the hotel was amazing. The food was great. There was plenty of time for sappiness and laughs. My niece did activity… and it made her hungry. My nephew drank Likkle Biggas while my sister got lost in the jungle. BJ did a bit of cooning… and we ate some more. In our free time we took a trip up to 9 Mile, the birth and final resting place of Bob Marley. Seeing the World thru the eyes of a young Bob Marley makes his music that much more meaningful. Unfortunately i didn’t get the same sense of peace inside of the mausoleum where he is laid to rest. It was an amazing trip… despite the 5 extra hours spent in Miami and I hope to go back soon. 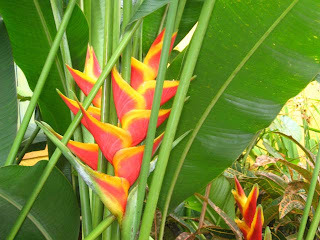 This entry was posted on June 15, 2007 at 12:45 am and filed under Family,Jamaica,travel,Vacation. You can follow any responses to this entry through the RSS feed. You can leave a response, or trackback from your own site.